Hunting, hiking, fishing and camping in the Great Outdoors has been my lifelong escape from adult responsibility. I love the wilderness and the challenges that await. 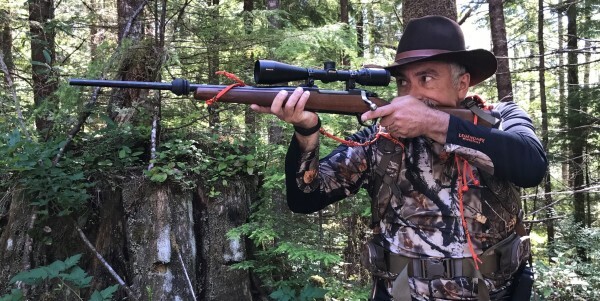 However, for years I had been unhappy with rifle slings, and spent a lot of money trying to find that perfect sling that would stay on my shoulder and allow me to carry my rifle comfortably all day; especially when I was wearing a backpack or daypack. After years of searching, I finally decided that it was going to be up to me to come up with the perfect way to carry my rifle. After 2 years of refining, I finally came up with the UnslingIt. Now mind you, it never occurred to me to market the UnslingIt; I just wanted a way to hunt comfortably and have my rifle ready at all times.